I just returned home from a wonderful weekend in Dallas, Texas. 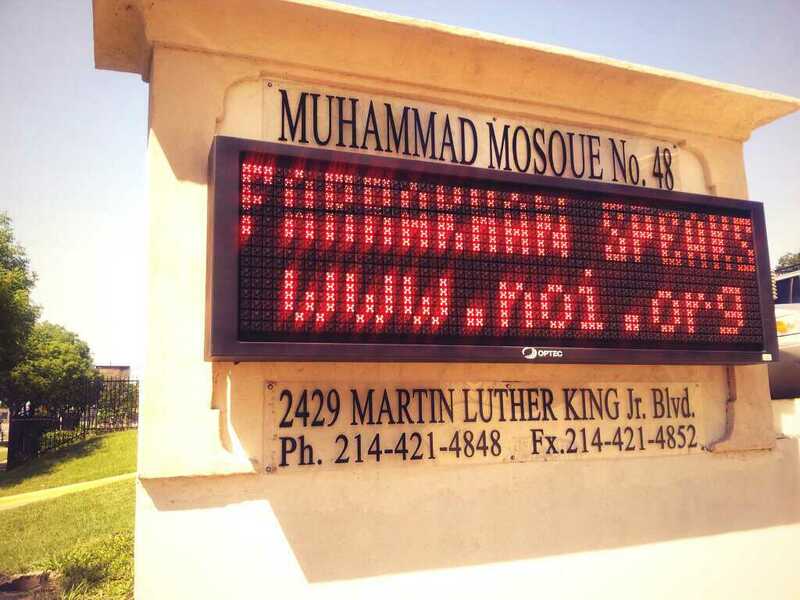 I was invited by Nation of Islam Student Minister Jeffery Muhammad of Muhammad Mosque No. 48 to host a social media workshop and tweet up party on Saturday, June 8. I kicked off the workshop with a brief powerpoint presentation rooted in how The Honorable Minister Louis Farrakhan uses social media. Then we jumped right into the fundamentals of Twitter, Facebook and Instagram. I fielded wonderful questions to help many overcome their aversion to the use of these valuable tools. 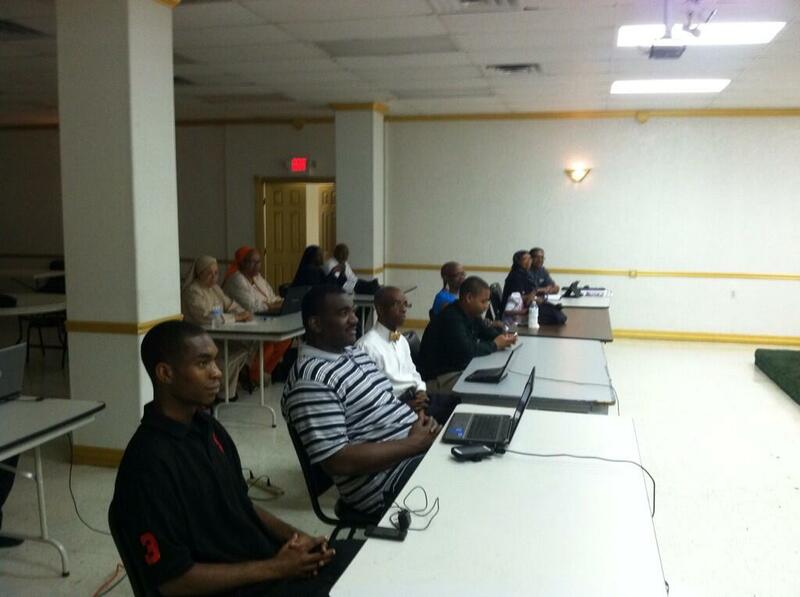 Participants were very engaging and some joined Twitter for the first time! 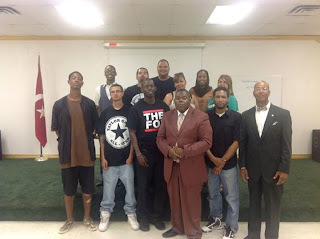 Later that evening the practical application started as we all logged on to NOI.org/TheTime to watch and live tweet during Part 22 of "The Time and What Must Be Done" series by Minister Farrakhan. 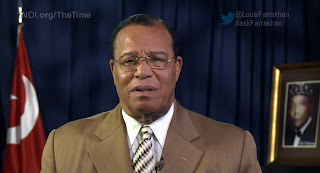 For the 4th consecutive week, #Farrakhan and #TheTime were nationally trending topics on Twitter and Dallas definitely helped to make that happen! Not only that, they had the hashtags trending locally in the Dallas-Fort Worth area as well. 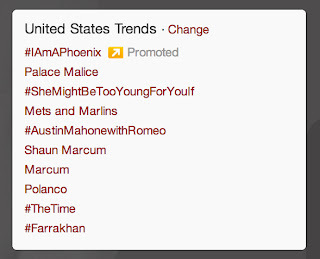 Way to go Twitter soldiers! Then Sunday morning, Student Min. Jeffery called me to the "witness stand" to deliver the main lecture. It was indeed an humbling experience and I've received continued positive feedback from those who attended. All I can say is All Praise is due to Allah for The Most Honorable Elijah Muhammad and his Top Student The Honorable Minister Louis Farrakhan. I'm just striving to be a better witness bearer and testify whenever and however I can...that's real talk. Following the main meeting, Bro. 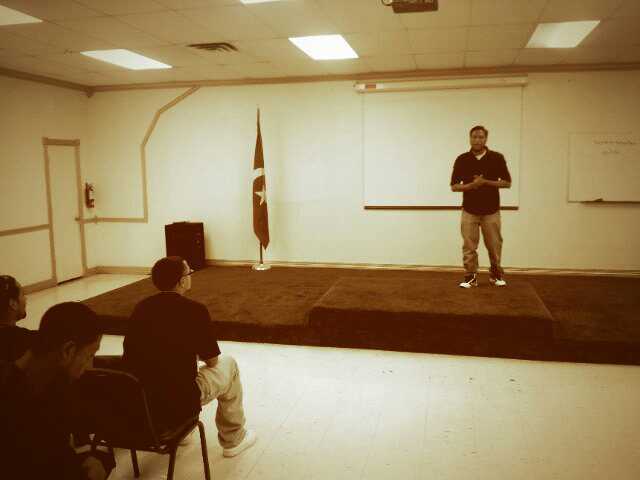 Jihad Muhammad hosted his weekly Dynasty Hip-Hop Mentoring Program at the mosque wherein he takes our young giants off of the streets and gives them a platform to express themselves with hip-hop. I've read about this brother for years while he was in St. Louis and this was my first time seeing him in action. Boy, that brother KNOWS what he's doing and I can tell he has touched those young people greatly. And many of them got some serious rapping skills. Keep up the great work Bro. Jihad! Once again, thank you to Student Minister Jeffery Muhammad, his fellow student laborers and believers of Muhammad Mosque No. 48 for your wonderful hospitality! Thank you Sister Khalilah for being a gracious host. And to the cooks at the mosque: Whoever cooked that carrot cake should be arrested for trafficking illegal addictive sweet substances...Good Lawd! Had to vacuum out the evidence (crumbs) in my vehicle so I wouldn't be charged as an accomplice. Where will we be next? Who knows! The work don't stop.